Kalamazoo, Michigan. 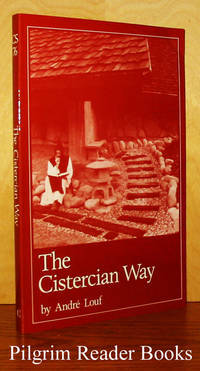 : Cistercian Publications.. Fine. 1970. Softcover. 0879071028 . 8vo - 21.5 x 14 cm; 69 pp. 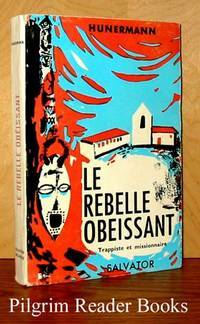 Translated by Michael Casey, OCSO with an introduction by Jean Leclercq, OSB. Footnotes throughout. This translation was first published in Volume I of the Cistercian Fathers Series and is based on the Latin edition as prerpared by Jean Leclercq and Henri Rochais. 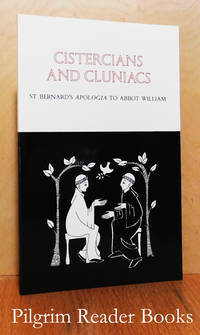 The letter, composed by Bernard (a Cistercian) and approved by William (a Cluniac), "excoriates monks . . . . Cistercians who had become slanderers, Cluniacs who had grown self-indulgent". Bernard's satirical wit spared no one who had lost sight of the monk's first duty, the love of God and the brethren". 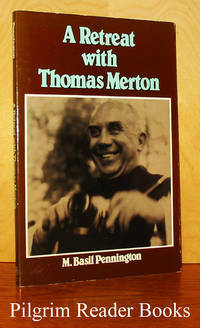 An as-new and unused book. .
A Retreat with Thomas Merton. Warwick, New York. : Amity House.. Very Good+. 1988. Softcover. 0916349233 . 8vo - 23 x 15 cm. ; (10) - 114 pp. From the back cover: "Fellow Cistercian monk, Father Basil Pennington while writing a biography of his friend Thomas Merton went on retreat to Merton's monastery Gethsemane Abbey where he stayed in the hermitage where Merton spent his final years. This book was written there." The retreat spans 8 days, form one Sunday to the next. Illustrated with 31 black and white photographs and 1 line drawing - a floor plan of Merton's hermitage. Minor shelf wear to the covers, otherwise clean with a sound binding. .
Pittsburgh, Pennsylvania. : Privately published.. Very Good+. 1978. Softcover. 4to - 28 x 21.5 cm. ; viii - 322 pp. From the title page: "A thesis presented to the Graduate School of Duquesne University as partial fulfillment of the requirements for the degree of Master of Arts by Br. Gerlac O'Loughlin OCSO, May 1978." 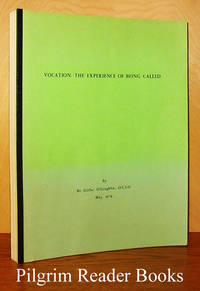 Green covers with a "bar and post" binding as this is a xerographic copy of the original typed thesis as presented which includes the advisors' approval page. Four page (3 and a bit) annotated bibliography followed by a standard 10 page bibliography. The covers are a tad sunned with light soiling and edge wear, otherwise fine. .
Spencer, Massachusetts: Saint Joseph's Abbey. Near Fine. 1982. Softcover. 8vo - 23 x 15 cm. ; 32 pp. 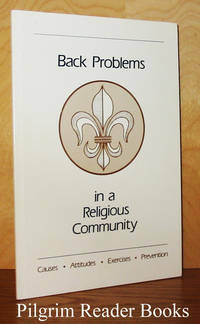 A slim book with short articles written by a monk-physician (Fr. Mark Delery), an orthopedist (Edwin Mohler), a psychiatrist (John Goldsberry), and a physical therapist (Daniel Tiberio). Illustrated with black and white photographs of the exercises. Published by the Cistercians of Spencer, Massachusetts and funded by a grant from the Dr. Scholl Foundation. . 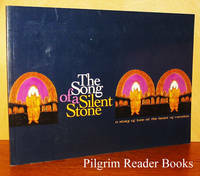 The Song of a Silent Stone: A Story of Love At the Heart of Creation. Berryville, Virginia. : Community of Cistercians of the Strict Observance.. Near Fine. 1999. Soft Cover. 0966321030 . 8vo - 20 x 28 cm. ; 46 pp. A reflection on the passion, death and resurrection of Jesus Christ told poetically and meditatively from the viewpoint of the stone, or as Abbot Mark entitles a section, "The stations of the resurrection as related by the Easter Stone. " Each page has a full-color illustration by Keefe. Abbot Mark is a Cistercian monk of Our Lady of the Holy Cross Abbey. An as-new and unused book showing scuffing to the covers best seen in reflected light. .
Quebec City, Quebec. : Privately published.. Near Fine. 1981. Softcover. 8vo - 23 x 15.5 cm. ; 170 pp. First published in 1979 in French as "La Trappe d'Oka" and translated into English by persons unknown, meaning not accredited that I can find. Illustrated with many black and white photographs some of which are archival. Each of the12 chapters has its own list of footnotes and bibliographic references. .
Kalamazoo, Michigan. 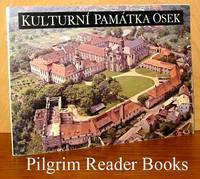 : Cistercian Publications. Near Fine. 1983. Softcover. 0879079762 . 8vo - 21.5 x 14 cm; 157 pp. Cistercian Studies Series, No. 76. Louf was the Abbot of Sainte-Marie-du-Mont, Bailleul, France. A comprehensive look at monastic life, for both men and women. Illustrated with 16 pages of black and white photographs. Three pages of references, 6 pages of basic texts and a 5 page listing of Cistercian Monasteries today (1983). The top fore edge corner of the front cover is creased, otherwise a new and unused book. .
Collegeville, Minnesota. 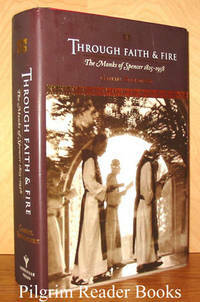 : Michael Glazier / Liturgical Press.. Near Fine with no dust jacket. 1992. First Edition. Hardcover. 0814657206 . 8vo - 21.5 x 14 cm. ; 141 pp. Black cloth over boards with gilt lettering on spine and front along with a gilt Cistercian crest on the front also. This is volume 4 in the "Religious Order Series". Eight appendices, (The Four Evangelists of Citeaux, The Little Exordium, The Exordium of Citeaux, The Charter of Charity, The Epistle of Thurstan of York, Declaration of the General Chapter of 1969 on the Cistercian Life, unity and Pluralism - A Statute of the General Chapter of 1969, Constitutio ns and Stautes of the Cistercian Order of the Strict Observance), a one page bibliography and a listing of Cistercian monasteries today at the back. The externals show only the mildest of shelf wear and that at the spine tips and board corners, the interior is clean and the binding is tight. A clear and removable archival cover has been fitted. .
Kalamazoo, Michigan. 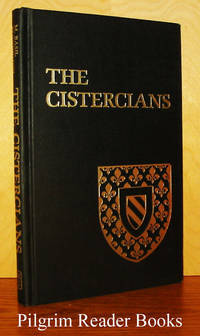 : Cistercian Publications.. Fine. 2003. Softcover. 0879071656 . 8vo - 21.5 x 14 cm. ; xxxi - 401 pp. Cistercian Fathers Series, number 65. A collection of Marian devotions from the following: Adam of Perseigne, Aelred of Rievaulx, Amadeus of Lausanne, Baldwin of Forde, Bernard of Clairvaux, Geoffrey of Auxerre, Gertrude the Great of Helfta, Gilbert of Hoyland, Guerric of Igny, Isaac of Stella, John of Ford, Stephen of lSawley, William of Saint Thierry. Five pages of short biographical sketches of the various authors and 3 pages of sources at the back. A new and unused book. .
Czechoslovakia: Propagacni Tvorba.. Very Good. 1981. Softcover. 16mo - 14.5 x 20.5 cm (oblong); Unpaginated with 48 pages in a saddle stapled binding. 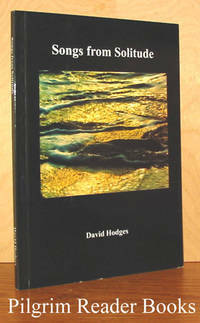 Full colour photographic covers. Illustrated with many colour photographs all printed on a coated paper. Osek, now a major Czech cultural memorial, was once a Cistercian monastery founded in the late 12th century. Twenty pages of text, the majority of which are in Czech with some translation into Russian, English, French, and German. .
Kalamazoo, Michigan: Cistercian Publications. Near Fine in Near Fine dust jacket. 1987. Hard Cover. 0879078995 . 8vo - 22 x 13.5 cm. ; Unpaginated with 96 pages. Off white linen cloth over boards with gilt lettering on spine. Cistercian Studies Series number 99. 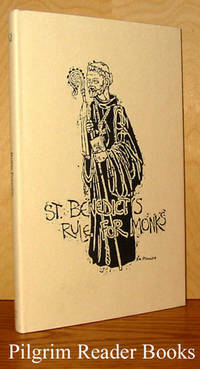 A collection of selected passages from the Rule of St. Benedict, translated and illustrated by Br. Pinocchio a Cistercian monk from Our Lady of Springbank Abbey in Sparta, Wisconsin. Each page (printed on the rectos only with the versos blank) has an illustration paired with a short selection of the Rule. A new and unread / unused copy showing a hint of shelf wear. .
Milwaukee, Wisconsin. : Bruce Publishing.. Very Good in Very Good dust jacket. 1966. Hardcover. 8vo - 22.5 x 15 cm. ; 194 pp. Approbations present. A "book length dialogue between Father Raymond, a Trappist monk, and a college student visiting him at the Trappist Monastery in Kentucky, is a spirited and engaging defense of the contemplative life." Light blue cloth-covered boards. Minor bit of soiling on text block edges, former owner's name on front free endpaper; binding sturdy, text pages clean. Dust jacket rubbed with some chipping on edges. .
Wales, UK. : The Abbey, Caldey Island.. Very Good+. 1999. Softcover. 0953322212 . 8vo - 21 x 14 cm. ; 77 pp. "A first collection of poetry reflecting the monastic life of prayer in an island setting." Hodges is a monk at the Cistercian Abbey on Caldey Island off the south coast of Wales. A tight, clean copy with a bit of rubbing on the cover. .
New York. : Yorkville Press. Very Good in Very Good dust jacket. 2005. Hardcover. 0972942793 . 8vo - 23 x 15.5 cm. ; xxvi - 597 pp. Red paper over boards with brown paper on spine and gilt spine lettering. A well researched and documented history (Bertoniere is a professed monk living at Spencer) of St. Joseph's Abbey in Spencer, Massachusetts. From the beginnings with Dom Augustin de Lestrange leaving France after the Revolution and the suppression of La Trappe, where Dom LeStrange was the novice master, and eventually moving to the New World, first to Nova Scotia and then to Spencer in Massachusetts. 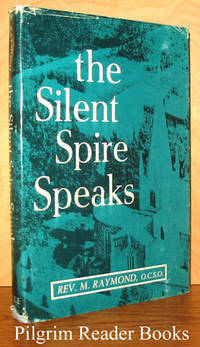 The chronicling of the history follows various abbots of Spencer and is profusely illustrated. Well annotated and with an eight page bibliography and a very comprehensive index. The book and jacket show mild shelf wear. However, there is one instance of underling in pen on page 375 where four lines of text are underlined. 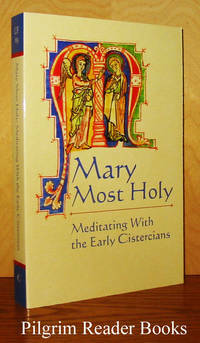 Aside from that, the book would be near fine. .
Kalamazoo, Michigan: Cistercian Publications. Fine in Fine dust jacket. 1991. Hard Cover. 0879076267 . 8vo - 21.5 x 14 cm. ; 317 pp. Light tan cloth over boards with gilt lettering on the spine. Cistercian Studies Series #126. Notes, and an 11 page general index. 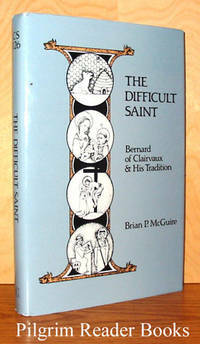 Various aspects of St. Bernard's life are examined from the perspective of the Middle Ages and of the modern world. McGuire teaches at the Medieval Centre of Copenhagen University. A new and unused book. .
Chicoutimi, Quebec. : Editions Science Moderne.. Good+. 1980. Softcover. 12mo - 18.5 x 12.5 cm. ; 162 pp. Text is in French. Publication de la Societe Historique du Saguenay. 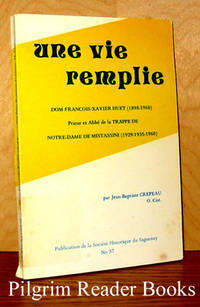 Dom Huet, Prieur et Abbe de la Trappe de Notre-Dame de Mistassini (1929-1935-1960). Photos, inscribed by author on first page. Some soiling and edgewear on card stock covers, minimal monastic library markings on first blank page and title page. ; Signed by Author . Editions Salvator.. Good. 1960. Softcover. 8vo - 19.5 x 13 cm. ; 261 pp. Text is in French. Traduit par l'abbe Rene Virrion. Le Pere Francois Pfanner, fondateur et abbe de Mariannhill. Edgewear, light soiling on covers, a group of pages rippled from getting damp but no water stain. .
Paris, France. : Librairie Letouzey et Ane. Very Good. 1924. Hardcover. 12mo - 17 x 11 cm. ; 160 pp. The text is in French. Approbations present. 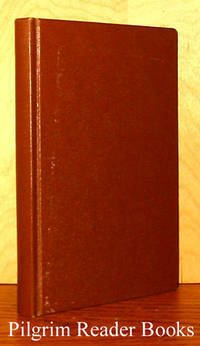 A history and the life of Cistercians by the Abbe de Chimay, Le Bail. Frontis illustration and other pictures through text. Brown cloth-covered boards have light wear, small stain on text block bottom edge. .
Editions Bernard Grasset. Fair. 1932. Hardcover. 12mo - 18 x 11.5 cm. ; 282 pp. Text is in French. Collection "Les Grands Ordres Monastiques et Instituts Religieux" Dirigee par Edouard Schneider aux Editions Bernard Grasset, XIV. Bibliographie. 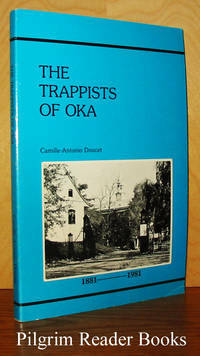 The history and life of the Trappists. 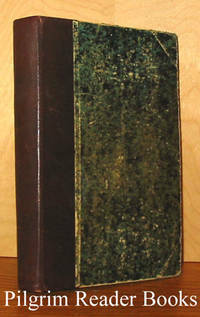 Paper-bound boards with leather spine. Rubbed and edgeworn, penciled library notations on front free endpaper and half-title page, paper split along hinge, some loosening of pages. ; Ex-Library . Lafayette, Oregon. : Guadalupe Translations. Very Good. 1992. Softcover. 8vo - 21 x 13.5 cm. ; 64 pp. Saddle-stapled booklet. Trappist Centennial Edition 1892-1992. 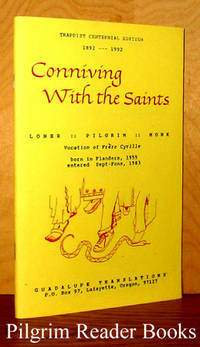 The story of a modern vocation, of Frere Cyrille, born in Flanders, 1959, entered Sept-Fons, 1983. A clean copy with only a monastic library stamp on title page and once within text. .